Other than certain rounds specifically designed to work in conjunction with a suppressor, handloading for a gun outfitted with a can can be challenging… but not impossible. “Quiet on the set!” People’s ears are tired of the loud report of rifles, and here in the States, we’re finally making a larger move toward embracing rifles equipped with a suppressor. Unfortunately, they’re not yet legal in all states — here in New York State, for example, where fun is illegal and smiling is a misdemeanor, they’re definitely out — but it sure is nice when the fella next to you at the range has a can instead of a brake. Personally, I have ringing in my ears from too many years of exposure to gun fire (nobody wore ear pro when I was growing up) and from decades of playing in loud rock bands (louder is, in fact, better). I wear ear protection at the range — sometimes combining two types — and probably should while hunting. The installation of a suppressor on the end of your rifle undoubtedly cuts down the decibels, but what does it do to your ammunition? What effect does it have on the pressures generated, and the trajectory curve of the bullet? Well, I’ve done some playing around, and I believe that in the handloading world, we need to take suppressors into consideration when developing a load. Just as a longer barrel will invariably generate a higher velocity than a shorter barrel, all things being equal, the addition of a suppressor has generally shown to increase the velocity of a given load compared to a naked muzzle. I saw this for the first time down at the FTW Ranch in Texas, shooting next to a great guy named Nate who had a sweet 6.5 Creedmoor, threaded for both a muzzle brake and a suppressor. After a full day of shooting, Nate decided to swap out the brake for the can, and immediately noticed a change in point of impact as well as the warning signs of high pressure. His bolt was sticky on the upstroke, and I could see flattened primers. Puzzled, I asked him to switch out the can and the brake to see if something was wrong with the ammunition. Nope, ammo was good, but the problem reared its ugly head again when trying the can. We let the barrel completely cool, and tried it again. The situation improved, but we had to let the can cool between shots. While I wish we’d had a chronograph to actually measure the velocity difference with and without the can, having seen countless numbers of cartridges running at high pressures, I can tell you there was a definite velocity/pressure increase. 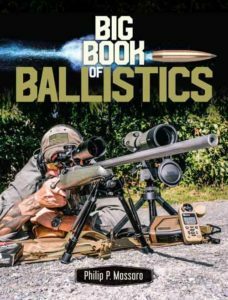 This will translate directly to anyone handloading for a rifle with a suppressor. Sometimes when developing loads, you may find the point of high pressure and back your load off just enough to be safe, while maintaining accuracy. The addition of a suppressor can bring those pressure levels back up into the danger zone. Should you run into a similar situation, my recommendation would be to re-work the load with the suppressor installed, verifying that pressures are safe, and then try it again with the can removed. I’d be willing to wager that with a bit of experimentation you’ll find a load that works well in both situations. Bottom line is that the addition of a suppressor will, in most instances, behave like a longer barrel, and generally increase muzzle velocities. This is the other part of the quiet equation. The .300 AAC BLK, pushing a 220-grain spitzer bullet to somewhere between 1,050 fps and 1,080 fps, showed us just how much a quiet, yet powerful, load can be. Handloading subsonic loads, in a rifle case larger than the Blackout, can be a difficult proposition. At just about 1,080 fps — depending on the temperature of the day — the bullet leaving the muzzle will break the speed of sound and create a sonic boom, resulting in the majority of the report we hear from a firearm being discharged (the other portion being the gases slamming into the atmosphere at a supersonic rate). Reduce that bullet’s velocity to below the speed of sound, and all you’ll hear is the gas explosion, hence the immediate discernable difference between supersonic and subsonic ammunition. For the Blackout, you can easily handload to subsonic velocities using Reloder 7, IMR4227 or H4198 and a 220- or 240-grain bullet; just be careful not to vary from the listed load in the manual, as there is no room to move. Other cartridges will pose a challenge. I’d say your best bet would be to use a heavy-for-caliber bullet and a case with limited capacity. The .308 Win., .30-30 WCF and more than likely the .250-3000 Savage could all be loaded to subsonic velocities using IMR Trail Boss powder. This is a funky powder, looking like miniature Cheerios, that is very light for volume. It comes in the same size can as a pound of smokeless powder but only weighs 9 ounces. Here’s the loading process according to IMR: Pick a bullet and a seating depth, and carefully mark the outside of the case where the base of the bullet will sit. Fill the case to that point with Trail Boss, and then weigh it on your scale. This will be your maximum (volumetric) load, though the pressures will be significantly lower than that of smokeless powder. You can reduce that maximum load by 70 percent for a safe starting load, and work up toward that maximum figure if you choose. I’ve seen published data that indicates that a .308 Win., .30-30 WCF, .30-06 Springfield and even the .375 H&H and .416 Rem. Mag. can all be loaded with Trail Boss to obtain subsonic results, but it’s going to take a bit of experimenting to see which bullets will perform best in your gun. Perhaps this powder would serve as a good reason to cast some good, old-fashioned lead bullets, and get back to roots. I can also see where Trail Boss would serve very well in teaching a new shooter how to handle a big game rifle, without the report and recoil associated with the full house loads, especially in those big guns. Editor’s Note: This article is from the November 2016 issue of Gun Digest the Magazine.